Sign up and receive Property Email Alerts of Duplexes for sale in Waterval East, Rustenburg. This gorgeous air conditioned 3 bedroom corner unit duplex house is in a secure complex with lots to offer. The kitchen has granite tops, oven with hob, stove and stylish tiled Flooring. The stylish stairway sweeps you of to the rooms, on the first floor. You have 3 very spacious bedrooms. The master bedroom with en-suite that opens onto a balcony, flooded with natural light. Patio with a built-in braai leads you to the private garden where your children can play and you can just connect your TV to enjoy sports. The garage is tiled,operate on a automated garage door, fitted with extra cupboards and a laundry point. a Security gate is fitted between the garage and the rest of the house. There is 1 covered parking with ample unobstructed open visitors parking available in-front of the unit. Contact us TODAY for a viewing appointment!!!! 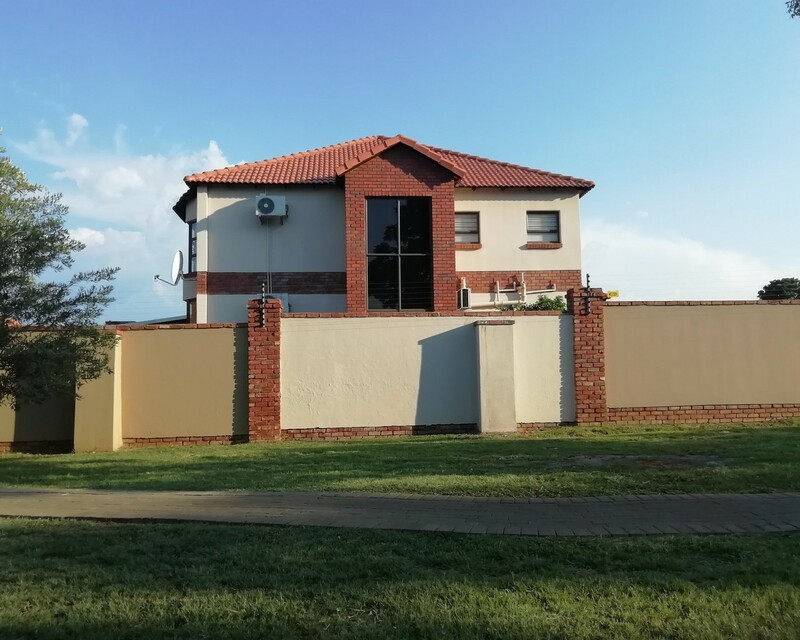 Sign-up and receive Property Email Alerts of Duplexes for sale in Waterval East, Rustenburg.